One of my favourite breakfasts while in Taiwan is 蛋餅 Dan Bing, a traditional and popular Taiwanese breakfast that many locals eat on a daily basis and travellers’ must-try food when in Taiwan. Beaten egg is fried on a hot plate and top with a thin crêpe (some call it pancake), then flipped over and filled with assorted fillings. 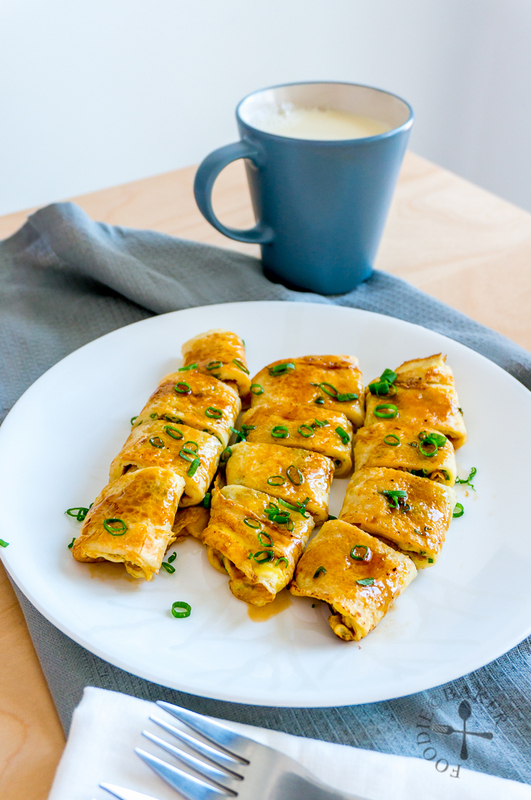 Rolled up then brushed with a savoury and umami sauce, Dan Bing a simple and inexpensive breakfast that goes perfectly with a cup of hot soy milk. I first had the idea of making Dan Bing when I had some leftover crêpes after making 红豆沙锅饼 (Hong Dou Sha Guo Bing / Chinese Red Bean Paste Pancake). The crêpe batter is made with bread flour instead of plain all-purpose flour. I’ve experimented with both types of flour and while both yield good results, I personally prefer the bread flour version as it gives a chewier crêpe without crisping too much, which makes it easier to roll up the crêpe without breaking. When searching for sauce recipes to go with the Dan Bing, I found that many of them use ready-made sauces like hoisin sauce, sweet bean sauce, chili bean paste etc, which I don’t have on hand. And other sauce recipes made from scratch just don’t seem to have the thick consistency and flavour profile that I’m looking for. Luckily I stumbled upon a recipe on Washoku Guide (a little ironic how a Japanese website has the recipe for a Taiwanese food), which I adapted to create a sweet, salty and spicy sauce with a hint of sour to tease the appetite. 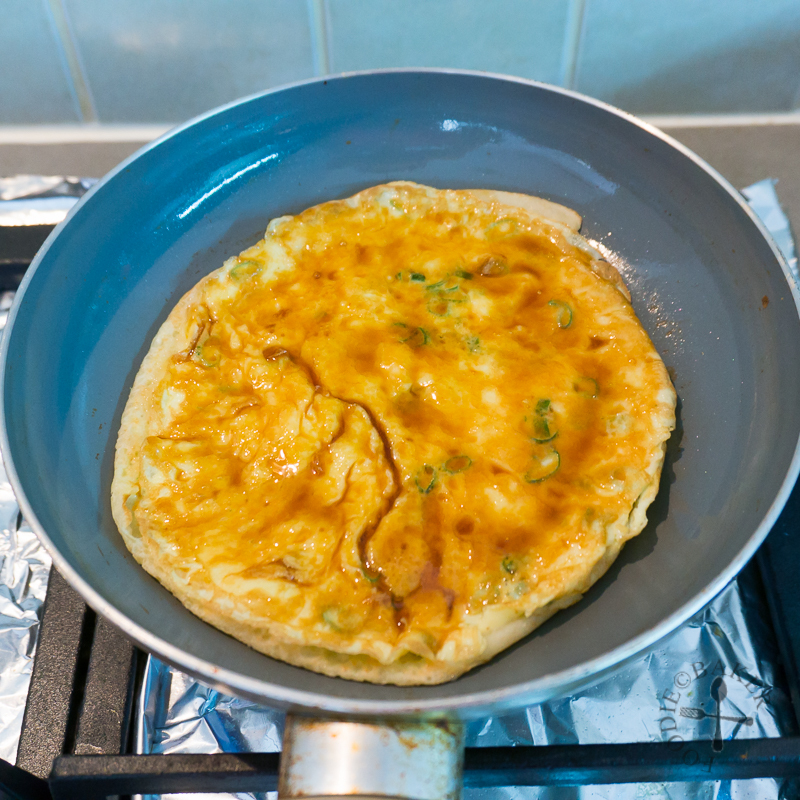 There are so many things that you can fill these Dan Bing with – my favourite is the classic spring onion and bacon, with bacon and cheese next. I’ve seen some Dan Bing crêpes made with fruit juices (like beetroot juice for a purple crêpe) and filled with interesting fillings like pumpkin purée, canned tuna… the variations are endless! And here are the step-by-step photos and the recipe! 1) Whisk bread flour, water and egg together in a mixing bowl. 2) Strain the mixture twice over a fine sieve to get rid of any flour lumps. Set aside for 15 minutes. 3) Cook about 1/4-cup of batter for each crêpe for 2 to 2 1/2 minutes until the sides begin to curl up and parts of the bottom is lightly golden. 4) Slide a thin spatula underneath the crêpe and flip onto the other side. Cook for another 1 minute until golden in some spots. 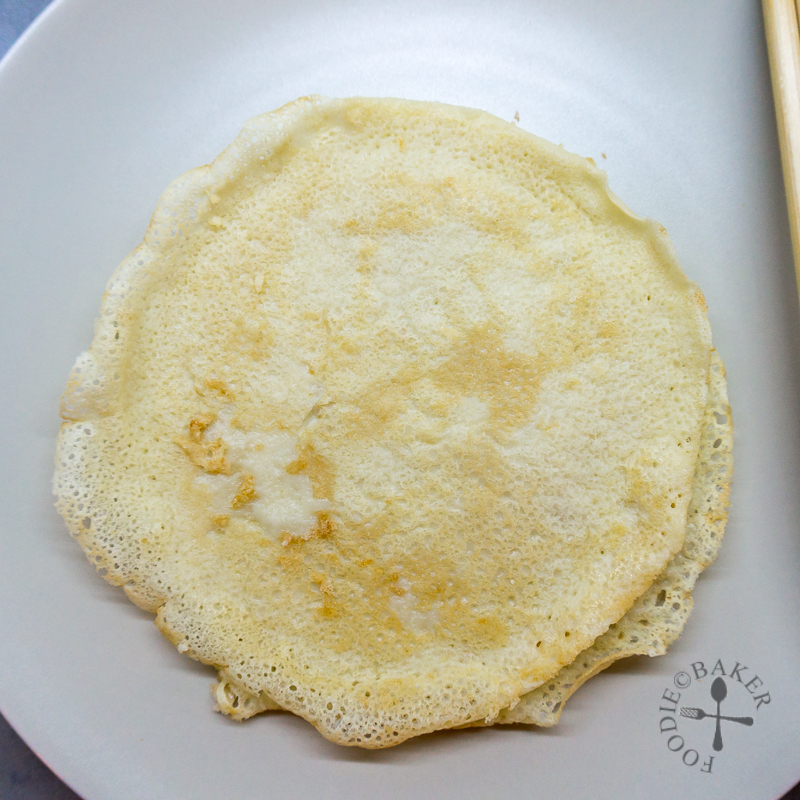 5) Slide the crêpe onto a plate and repeat until all the crêpe batter is used up. 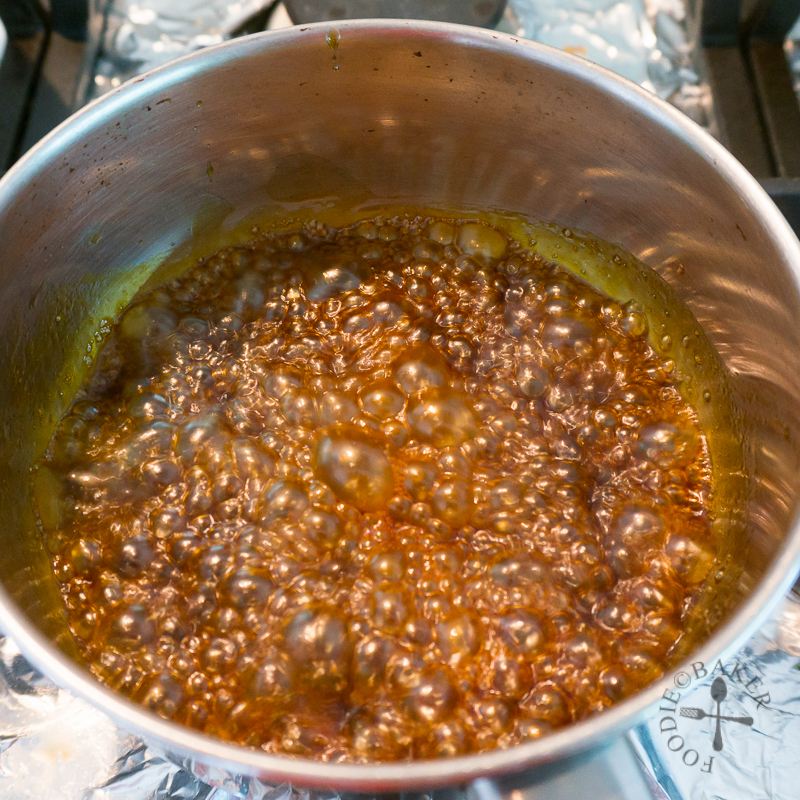 6) Combine all the sauce ingredients in a small pot. 7) Stir and bring to a boil then remove from heat. 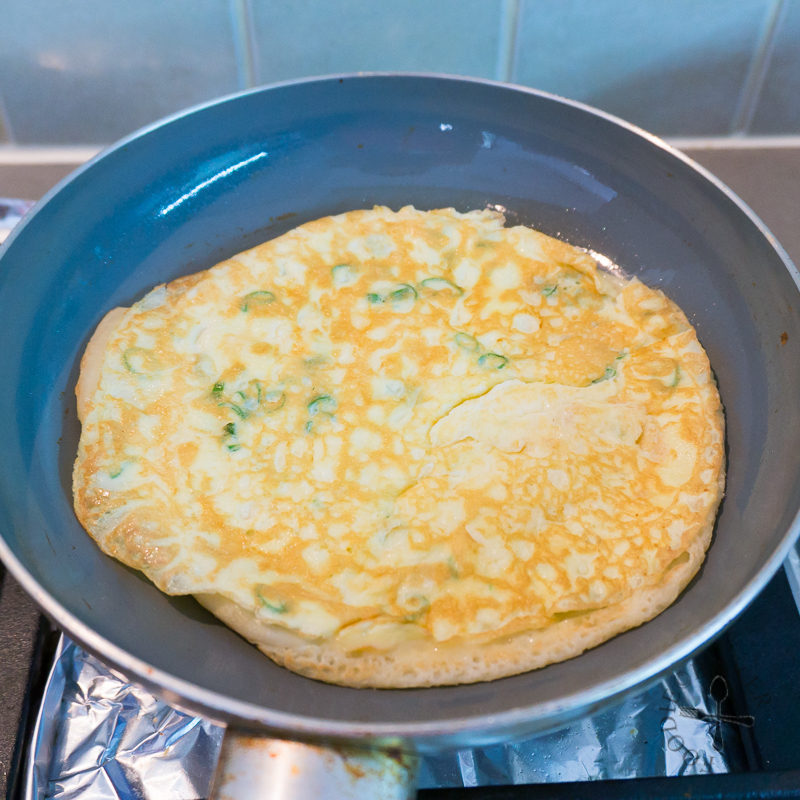 8) For each Dan Bing, whisk 1 egg and a bit of spring onion together. 9) Brush a thin layer of oil on a non-stick frying pan (you can use bacon fat!). 10) Pour in the egg mixture. Top with additional toppings (if using) quickly so the egg doesn't set. 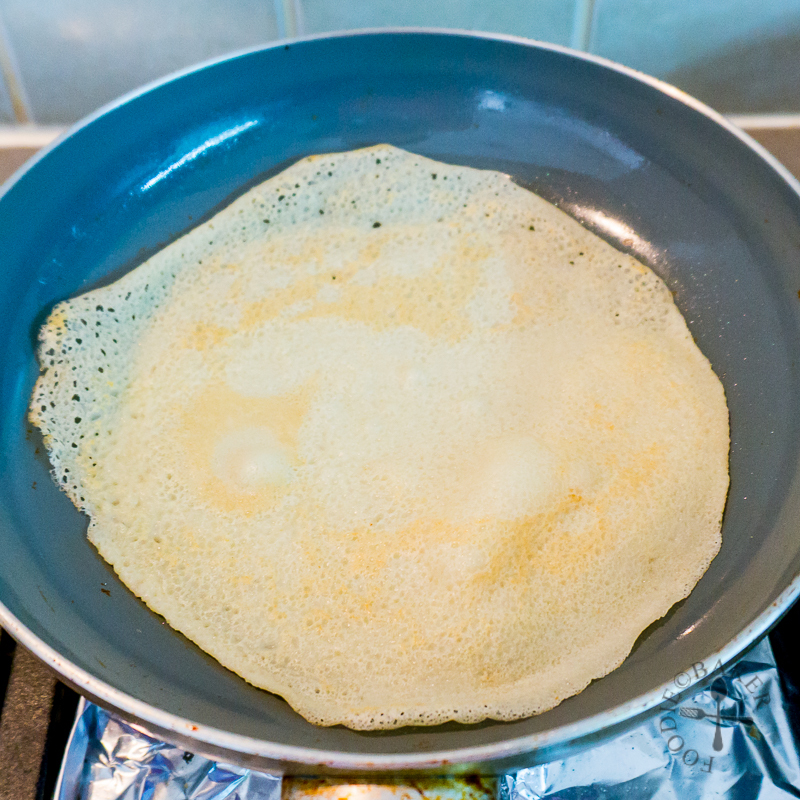 11) Place a crêpe on top - the uncooked egg will "glue" to the crêpe. Cook until the egg has set, about 1 to 2 minutes. 12) Flip and warm up the crêpe for another 1 minute. 13) Brush the egg-side with the Sauce. 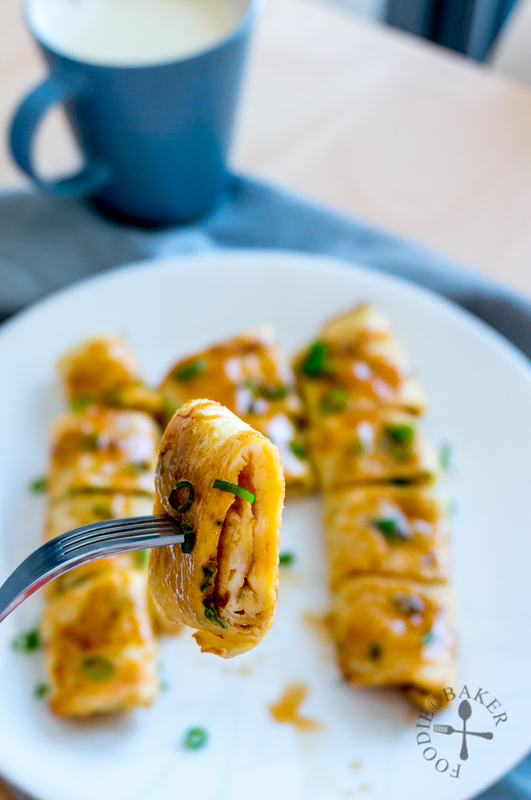 14) Roll up the Dan Bing, slide it out, cut into 4 pieces, brush with more sauce on top and serve! The yield varies depending on the size of the frying pan you use. You will get 8 crêpes if using an 8-inch (20-cm) pan and 6 crêpes if using a 9.5-inch (24-cm) pan. Regardless of the size of the crêpes, I will use 1 egg per crêpe for each Dan Bing. Depending on whether you are a big eater, each person can eat 1 to 2 Dan Bing for breakfast. 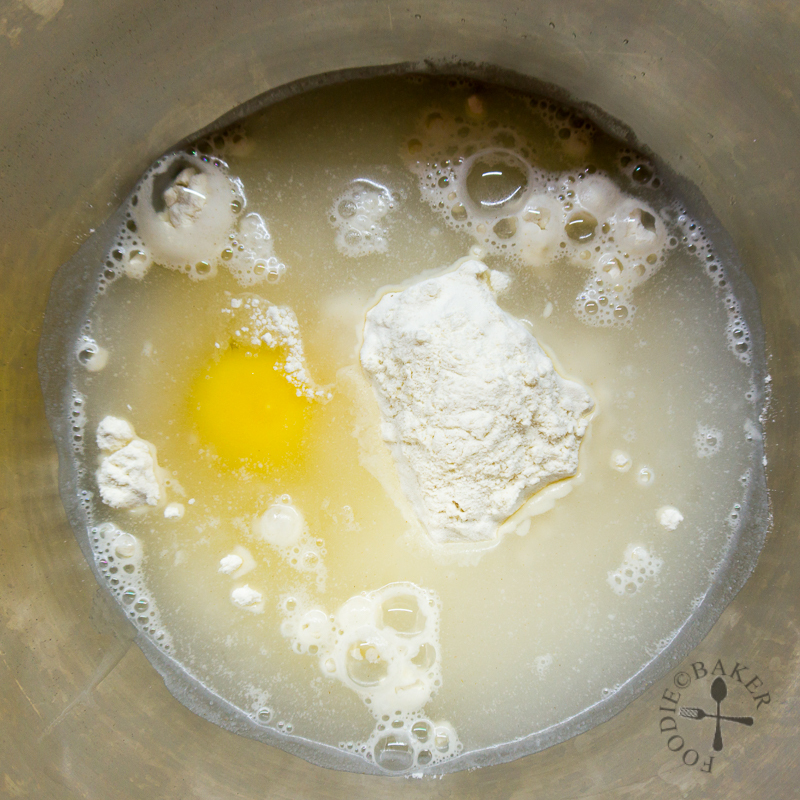 Whisk bread flour, water and egg together in a mixing bowl. Strain the mixture twice over a fine sieve to get rid of any flour lumps. Set aside for 15 minutes. Get an 8-inch (20-cm) or a 9.5-inch (24-cm) non-stick frying pan and set over medium-low heat. Place a damp cloth on the table counter. 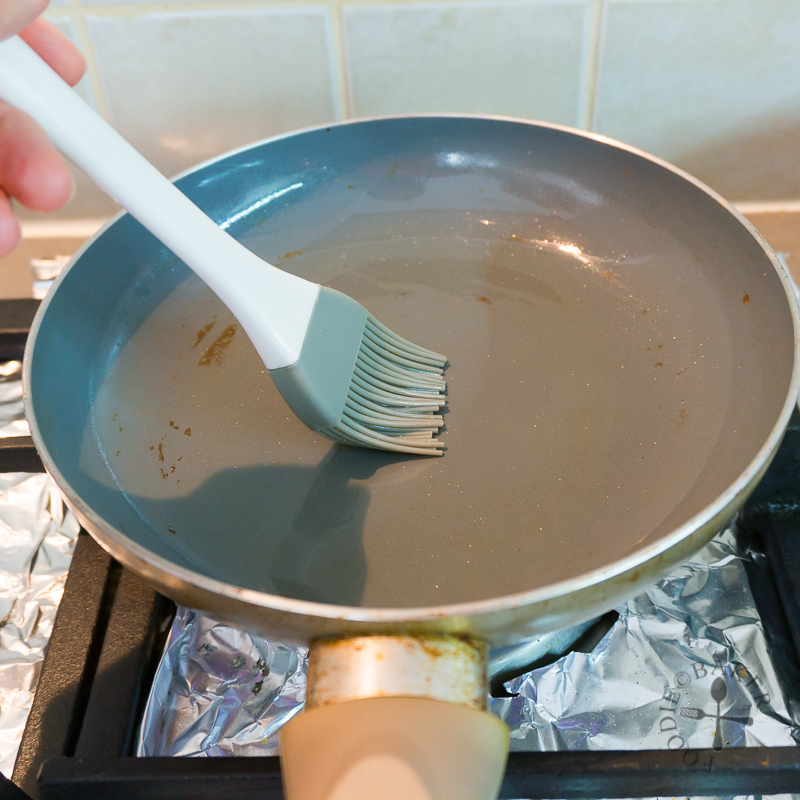 When water sizzles when sprinkled into the pan, remove the frying pan and place on top of the damp cloth for 3 seconds and place it back on the stove - doing this will ensure the heat in the frying pan is even. Stir the batter and scoop ¼-cup of batter. Hold the frying pan in your dominant hand and pour the crêpe batter into the middle of the pan with another hand, tilting the pan in all directions as you pour (the batter should set almost immediately as you pour in the batter) so that the batter coats the bottom of the frying pan in a thin layer. Cook for about 2 to 2½ minutes until the edges began to curl up and parts of the bottom is lightly golden. Slide a thin spatula underneath the crêpe and flip onto the other side. Cook for another 1 minute until golden in some spots. Slide the crêpe onto a plate. Repeat Steps 2 to 4 until all the crêpe batter is used up. 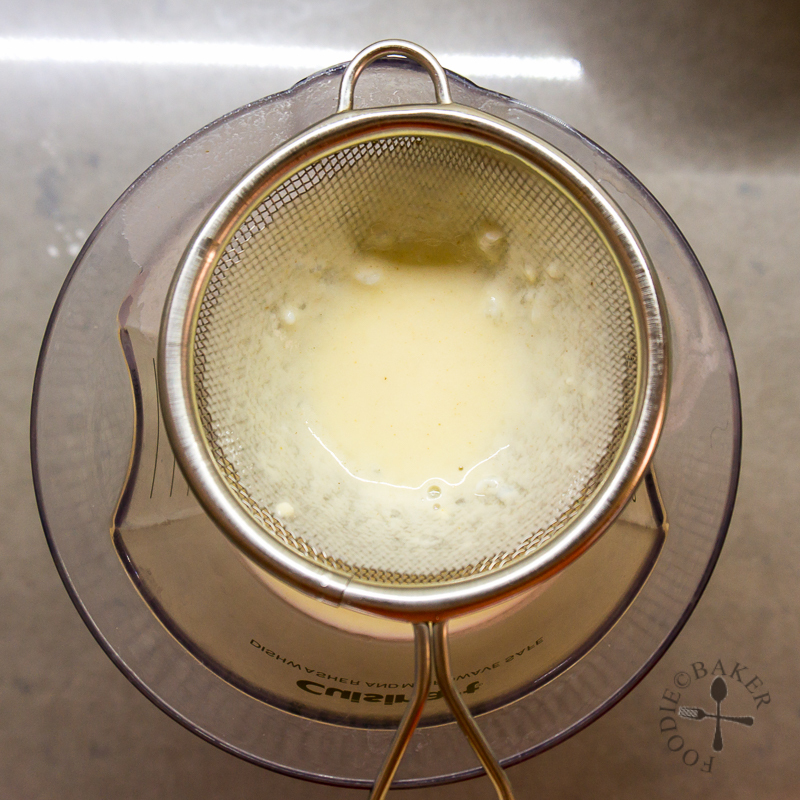 After cooking the first crêpe, determine if ¼-cup of batter yields a too-thick crêpe. I usually go for a scant ¼-cup if I cook with an 8-inch (20-cm) pan and ¼-cup if I cook with a 9.5-inch (24-cm) pan. Combine all the sauce ingredients in a small pot. Stir and bring to a boil then remove from heat. For each Dan Bing, whisk 1 egg and a portion of spring onion together. Using the same non-stick frying pan you cook the crêpes in, heat over medium heat. 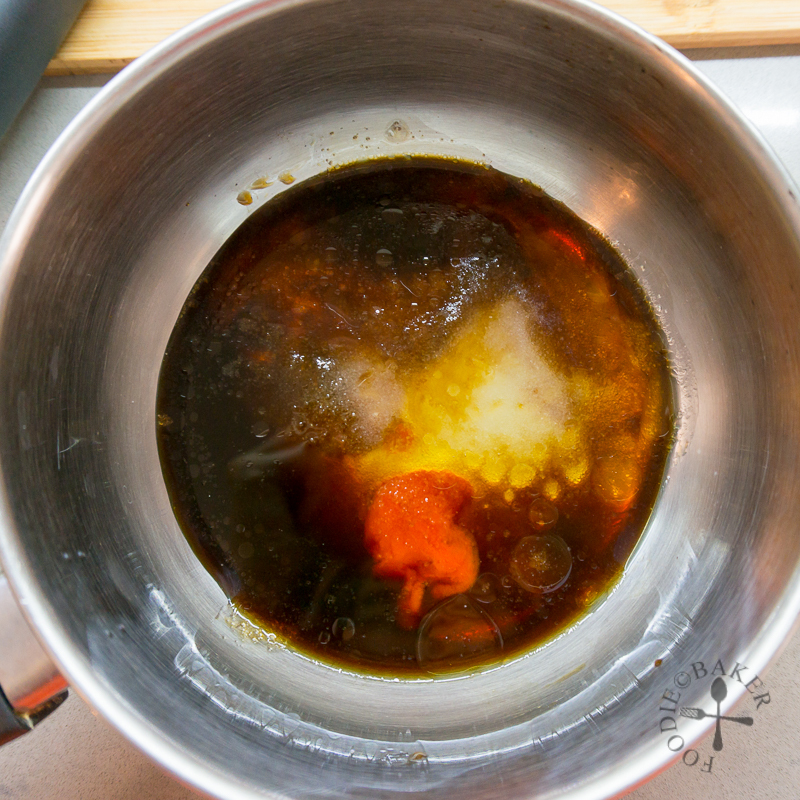 Brush a thin layer of oil on top (you can use bacon fat!). Turn the heat down to low and pour in the egg mixture. Top with additional toppings (if using) quickly so the egg doesn't set. 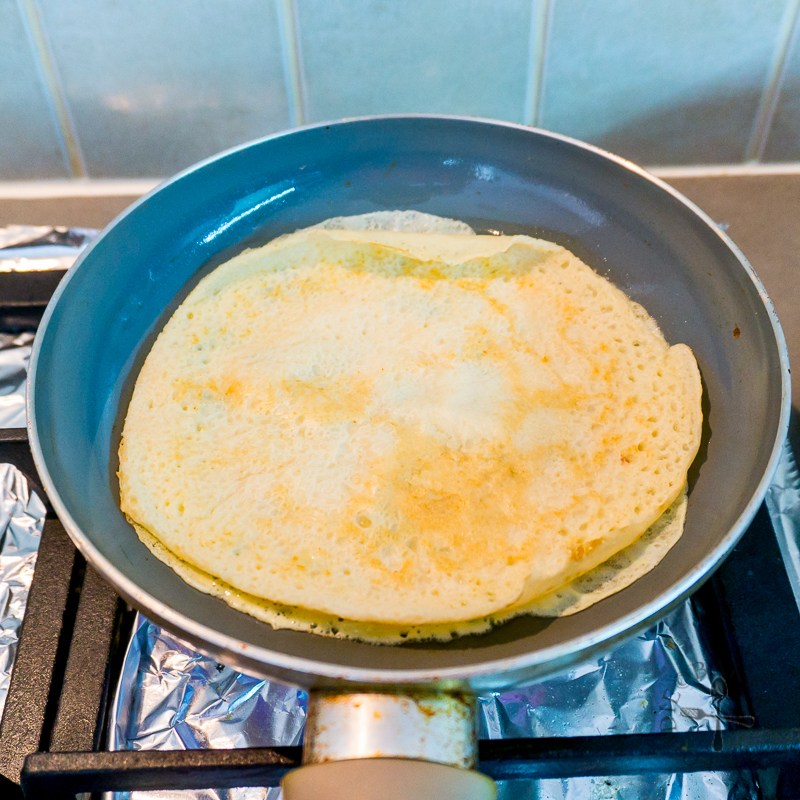 Place a crêpe on top - the uncooked egg will "glue" to the crêpe. Turn the heat up to medium and cook until the egg has set, about 1 to 2 minutes. Flip and warm up the crêpe for another 1 minute. 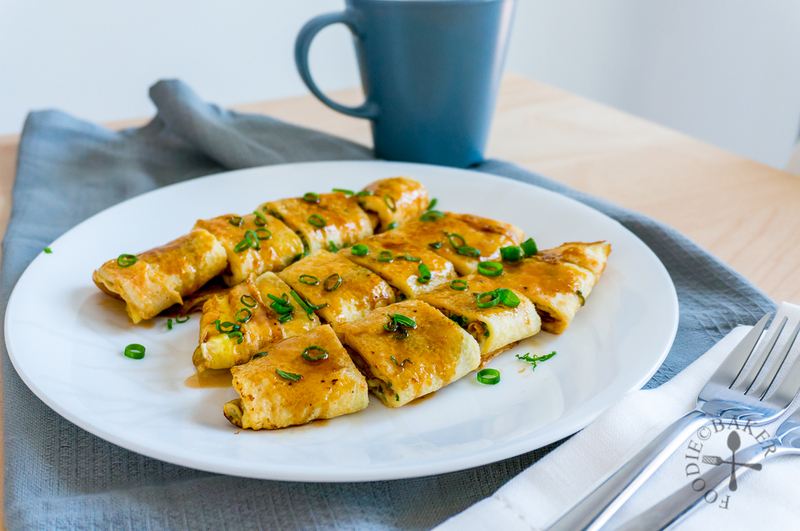 Brush the egg-side with the Sauce and roll up the Dan Bing. Slide the Dan Bing onto a chopping board and cut into 4 pieces. You can also slide out the Dan Bing onto a chopping board, brush it with sauce, roll it up and cut into 4 pieces. 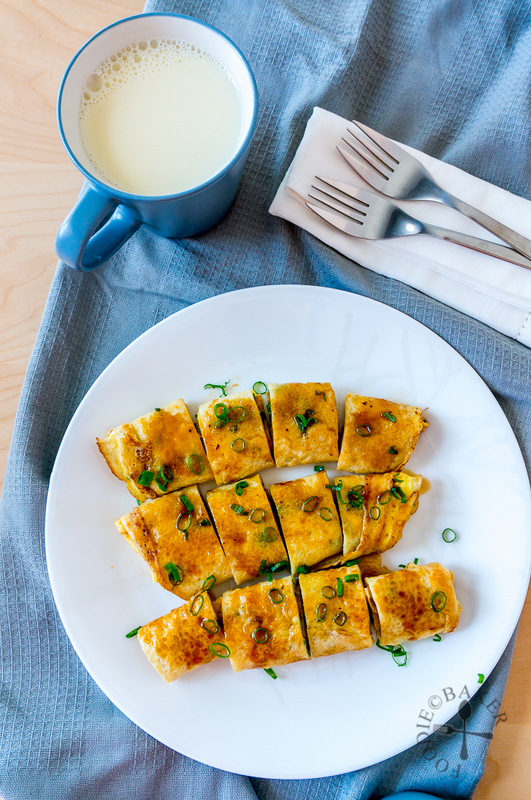 Transfer the Dan Bing onto a serving plate, brush with more Sauce on top and serve with homemade soy milk. - Bread flour instead of all-purpose flour is used for the crêpes for the chewier texture and I personally find that the crêpe rolls up better, so do use bread flour if possible. But all-purpose flour will still work well in a pinch. - You can make the crêpes and sauce ahead of time - keep the crêpes well-wrapped with clingfilm and store in the refrigerator for up to 3 days or in the freezer for up to 3 months. If storing in the freezer, it's best to separate each crêpe with a piece of parchment paper so they won't stick together. The sauce can be made ahead a stored in the refrigerator for up to 1 week. 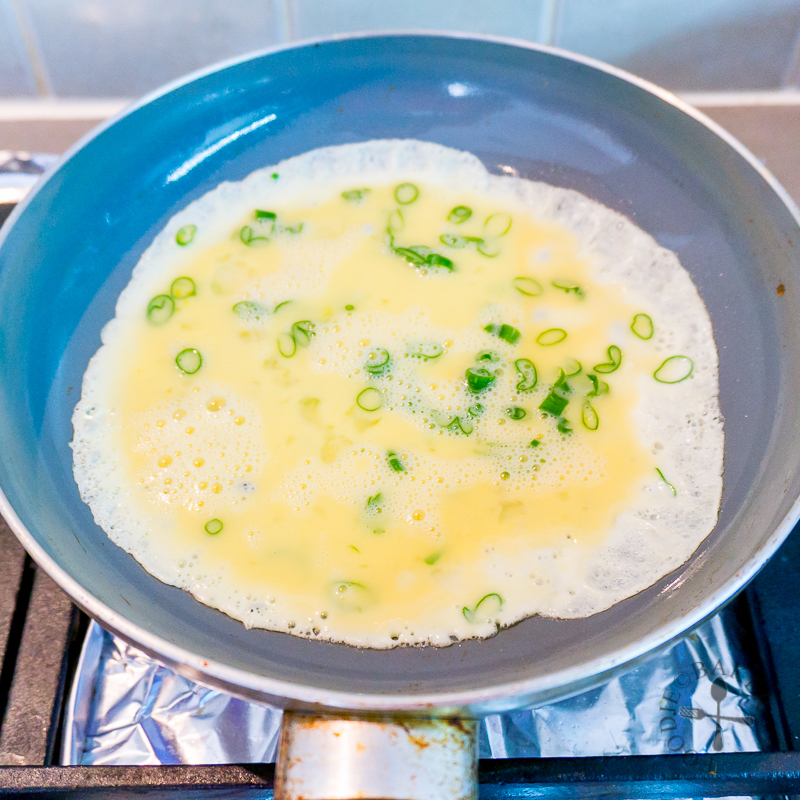 - Alternatively, you can "glue" the crêpe on top of the egg without the filling, flip it over then top with your favourite filling. However this way I find it difficult to brush the Sauce inside the Dan Bing, so you may just want to brush the exterior with the Sauce after rolling it up. Thanks a lot for the recipe, it tastes great. I was thinking dinner too! These crepes and a salad would be delicious. 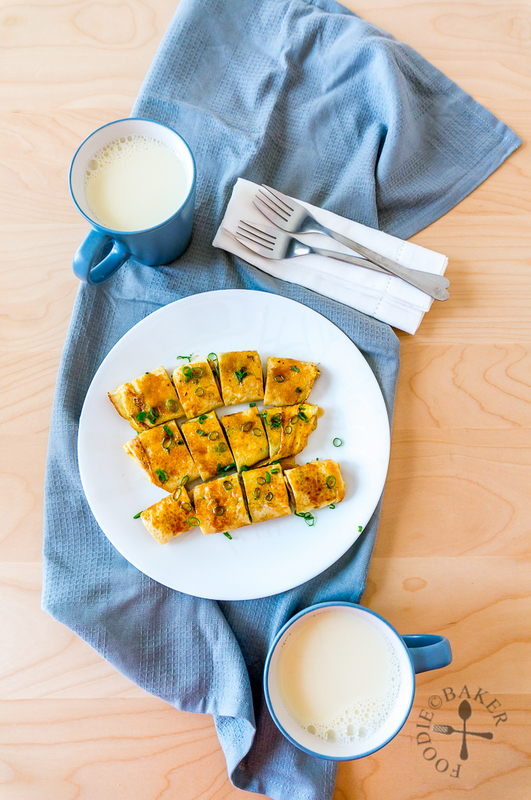 This is a great idea for breakfast/brunch! I love this recipe Jasline ! What a fun treat anytime not just for breakfast! The addition of a little chili sauce is so good. Have you ever used one of those long and narrow egg pans in Japan for rolling up your eggs. I really need to get one of those as it makes rolling a snap. Hope you are doing well. Sharing of course!